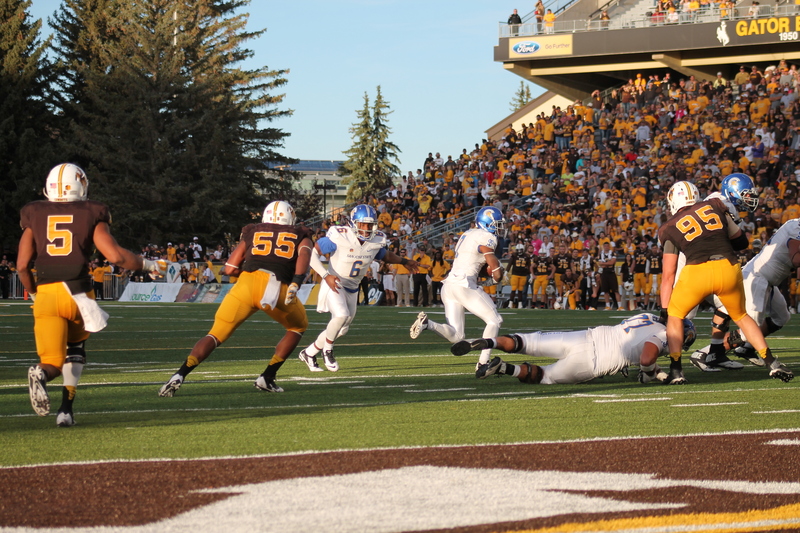 The Jim Thorpe Award announced its preseason list of potential candidates on Monday, and University of Wyoming sophomore free safety Andrew Wingard is among the 39 defensive backs nationally to be named to the 2016 watch list. The Jim Thorpe Award has been presented annually since 1986 to college football’s best defensive back by the Oklahoma Sports Hall of Fame. It was established to honor history’s greatest all-around athlete, the legendary Jim Thorpe who was an outstanding football player, professional baseball player and won Olympic gold medals in the decathlon and pentathlon. Wingard is coming off a freshman season in 2015 that saw him earn First Team Freshman All-America honors from the Football Writers Association of America. Wingard led the Mountain West and ranked No. 4 in the NCAA in solo tackles in 2015 (6.9 solo tackles per game) and ranked No. 2 in the conference and 12th in the nation in total tackles (10.2 per game). He led all Mountain West Conference defensive backs in tackles in 2015, and he became the first freshman in the history of Wyoming Cowboy Football to record 100 or more tackles in a single season (122). Wingard’s play as a true freshman last season was also recognized by MW coaches and media, who voted the true freshman to the MW Second Team All-Conference squad. The winner of the 2016 Jim Thorpe Award will be announced on ESPN on The Home Depot College Football Awards, Thursday, Dec. 8, 2016. On Tuesday, Feb. 7, 2017, the Jim Thorpe Award Banquet will be held in Oklahoma.